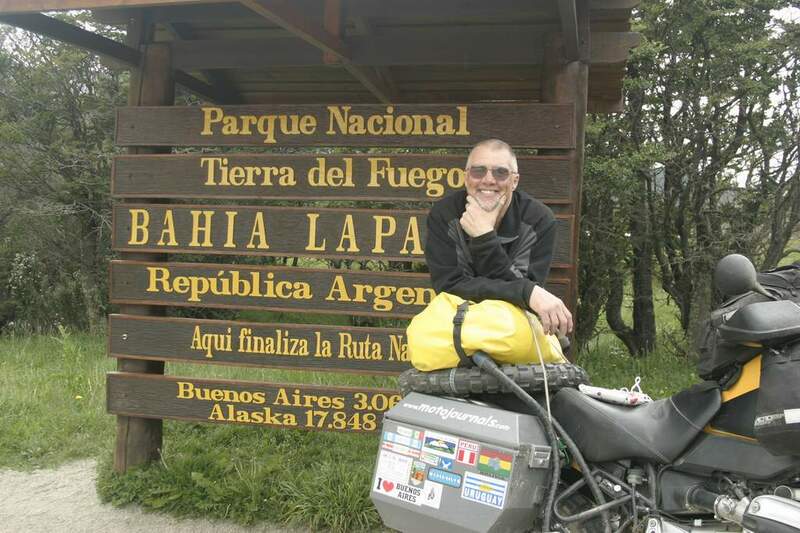 I’m in Santiago, Chile, waiting for my motorcycle to be shipped home, at the end of the fifth segment of my journey from Prudhoe Bay, Alaska to Ushuaia, Argentina. From the top to the bottom; the full length of the road system in the Americas by motorcycle. 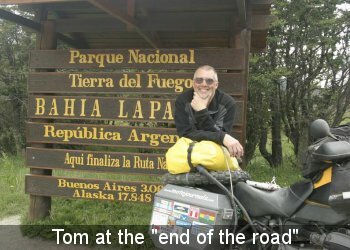 It was a great adventure, done in five segments, using four different bikes and covering more than 22,000 miles over a five-year time frame. The trip included 31 border crossings as I passed through 14 countries. My wife, Jan, joined me for the ride through Panama and Uruguay, and rode her own motorcycle to the top of Alaska, along with three good friends. The rest of the trip I did solo. In the meantime, if you’re new to the website, completed journals include our trip from Seattle to Prudhoe Bay, Alaska in 1999, and from San Jose, Costa Rica to Seattle in 2001. While there won’t be any text, I’ve posted about twenty pictures of the trip that Jan and I took by bike through Britain and Western Europe in June 2003. The journal for Costa Rica and Panama from February 2003 remains uncompleted. However, all of South America is completed and text and pictures are available at the journals entitled South America Part 1 and South America Part 2. Best wishes from the road. I hope you enjoy the site.